When it comes to planning the best boys night out in Liverpool look no further than Arthouse Hotel. At the heart of all the most exciting nightlife and with some of the best restaurants in Liverpool right on your doorstep, Arthouse Hotel is the number one choice for an amazing get together with the lads. Every room at Arthouse Hotel has a unique movie-themed décor along with bags of space and excellent facilities such as ensuite bathrooms and handy kitchenettes and fridges to store all your booze. Choose to spend the night on the Hitchcock floor in the Spellbound suite which sleeps up to six and is inspired by Hitchcock’s asylum thriller movie. 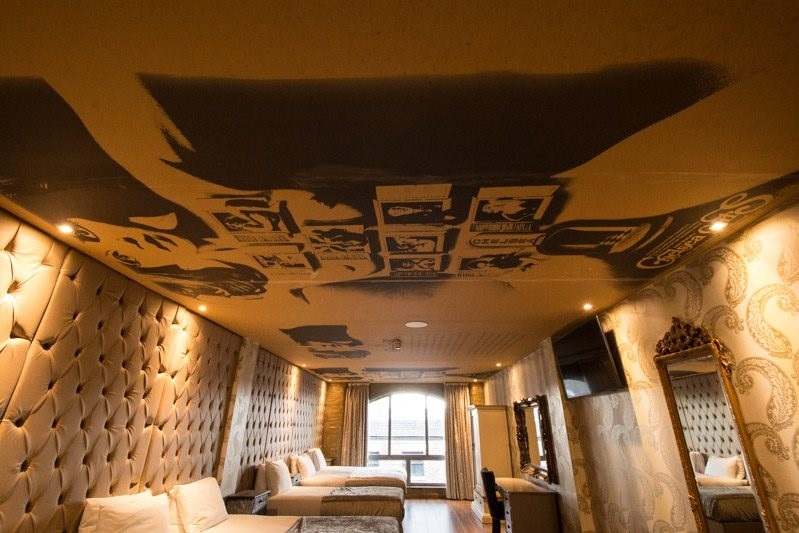 Or why not get a little artsy on the Warhol floor where you can stay in our racy Chelsea Girls suite with its eye-popping wall mural and gleaming gold décor? There’s access to huge wall mounted TV’s in every Arthouse Hotel room and what’s more, Arthouse Hotel is located in the centre of Liverpool’s most popular nightlife district; The Ropewalks. Accommodation for a boys night out in Liverpool doesn’t get any better than at Arthouse Hotel. The most popular nightlife venues in Liverpool surround Arthouse Hotel on all sides. So, for those of you looking for a top boys night out in Liverpool you needn’t walk more than two minutes before you find your ideal nightclub or bar. Coyote Ugly has recently opened its doors to the public, and for those who “haven’t seen” the hit movie yet, we can guarantee a handful of talented ladies will entertain an eager audience with some on the bar dancing and behind the bar beer slinging. Other top choices include Heebie Jeebies for laid-back vibes and chart-topping tunes, Salt Dog Slims for larger than life steins or Whiskey Business for a special kind of tipple from their impressive stocks of rare whiskeys. Our very own Alma de Cuba is perfect for a boys night out in Liverpool you’ll never forget. Why not book a VIP booth complete with drinks package and catch a glimpse of our hotter than hot Voodoo dancers? All this and more is just a few moments away from Arthouse Hotel meaning your boys night out in Liverpool is guaranteed to be unforgettable . . .
. . . even if you’ve had a few too many steins in Salt Dogs. Not just the perfect place to grab a bevvy, The Ropewalks and Bold Street, in particular, is the number one spot to rustle up some of the tastiest grub in town. 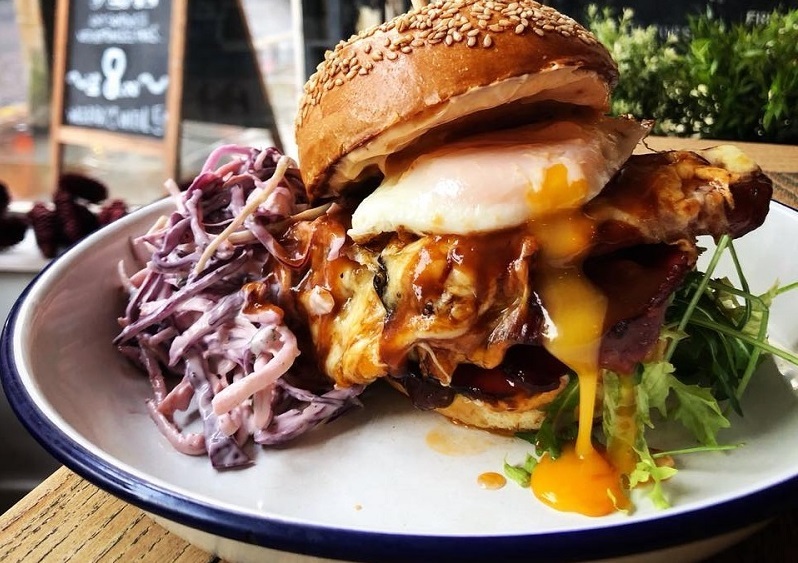 On Bold Street alone there’s a worldly variety of street style inspired food from towering burgers at Nolita Catalina to Red Dog Saloons BBQ inspired gastronomy. Slims Pork Chop Express on Seel Street has a varied menu of meaty loveliness and of course, our own on-site bar and restaurant, Mulholland, whips up the best pizzas for miles around. No matter what you’ve got a hankering for, any of these nearby restaurants will get your boys night out in Liverpool off to a tremendous start. 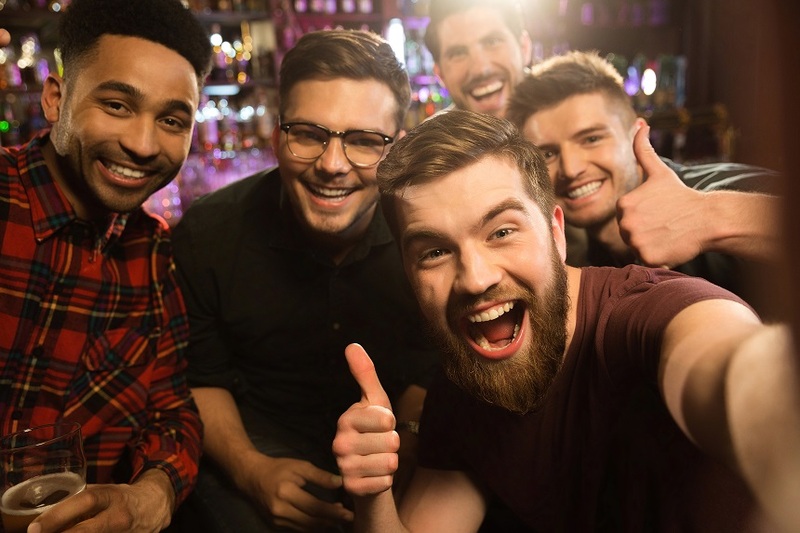 Get all the lads together for an amazing boys night out in Liverpool from Arthouse Hotel. We’ve got some amazing packages for the Ultimate Boys Weekend, one nighter offers like the Last Night of Freedom and Get Me to the Church on Time for the night before the big day partying. Pick any one of these amazing all-inclusive offers or call and speak with the team on 0151 601 8801 to book your stay today. This entry was tagged Liverpool nightlife, Movie themed hotel, Seel Street. Bookmark the permalink.